Healthcare in and of itself is a difficult matter for Laos’s citizens, particularly for the poorest factions of Lao society. Public healthcare is only available to approximately 11 percent of the population and private alternatives charge prohibitively steep fees. Labourers are therefore employed without insurance, and informal workers are even more vulnerable: without registration, they are not protected by labour law and hence do not receive social protection from the state. Ms. Thong, a 54-year-old waster picker based in Vientiane, is one of many informal workers who face such vulnerabilities. Her line of work faces many challenges, and requires a great deal of adaptability. “I mostly collect from households, but I also pick up whatever I find on the road. I’ve been collecting waste for the past 18 years. I do it every day. It’s quite heavy work and the smell can be nasty, but you get used to it,” she says. 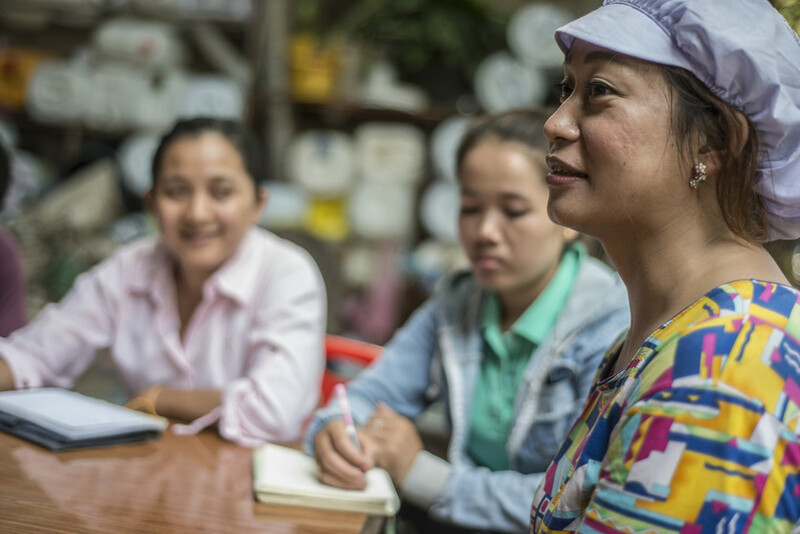 In response to this growing concern, one of Oxfam’s partner organisations, the Environment Conservations and Community Development Association (ECCDA), has been taking steps to improve the welfare of these informal workers throughout the Lao capital. By establishing community savings groups within networks of waste pickers, workers can now rely on contributions to cover the cost of medical fees that may arise. With Oxfam’s assistance, the ECCDA continues to expand its services in the hope of providing informal workers with the knowledge they need to get a better standard of welfare.